Results: When you are lonely, you seek out company. Molecules with negative charges act the same way towards water, according to a theoretical model built at Pacific Northwest National Laboratory. The molecules pull water to them. How close depends on the charge of the atoms in the molecule and other factors. This model provides more accurate results for charged molecules or ions, than previous models. Why It Matters: The scientists and engineers who will prepare the waste left in underground tanks from plutonium production for transport and processing at the vitrification plant need to know how ions will react in water. For example, what will happen when more water is added to the waste? Will it heat up in the tanks? Congeal into a gelatinous mass? Or, stay the same? This is one example specifically relevant to the nuclear waste to be vitrified at the Hanford Site in southeastern Washington, but then much of chemistry occurs in the aqueous phase, so that the application of the model is really pervasive. By using this theoretical model, scientists can quickly predict, at a molecular level, how the anion will behave. Then, they can conduct laboratory experiments on the reactions of concern, reducing the number of costly studies needed. In addition, information from the model can answer questions that sometimes current instrumentation cannot. How the model works: To simulate the behavior of a negatively charged molecule or anion in water, the model uses a continuum representation of water with the molecule occupying a cavity in the water continuum. Determining the size and shape of the cavity is easier on molecules with no charge. However, when the molecule has a charge, the calculations are more complicated. Why? Because the charge is not evenly distributed in the molecule. The model has to take this into account. The model calculates the size of the molecular cavity by first determining the size for the cavity around each atom. Then, it removes the overlaps and shows a shape around the entire molecule. Methods: The team began with a 2003 model which they had developed for oxoanions, XOmn-, after they found that existing models did not predict with sufficient accuracy the properties of oxoanions in solution. So, they collected experimental benchmark data for a number of molecules, and found the appropriate cavities that best fit the data. From these cavities, and the charges of the molecules they came up with a set of rules to define optimum cavities for reproducing the properties of the molecules in their database as well as other molecules. They tested the model using cations, anions, and neutral molecules, including glycine, which in water takes the form of a zwitterion. The results from the model agreed with the experimental results. To build this accurate model required a multidisciplinary team of theoretical and computational chemists. In addition, the project benefited from the fresh perspectives of three students. What's next? The model is available for others to use and refine. "We got the ball rolling, so hopefully it will catch on," said Bojana Ginovska of PNNL, lead author of the article. The research was conducted using desktop computers, mid-size clusters, and other resources at PNNL. The work supports PNNL's mission to strengthen U.S. scientific foundations for innovation by developing tools and understanding required to control chemical and physical processes in complex multiphase environments. This work also provides valuable resources to PNNL's Institute for Integrated Catalysis. References: Ginovska B, DM Camaioni, M Dupuis, CA Schwerdtfeger, and Q Gill. 2008. "Charge-Dependent Cavity Radii for an Accurate Dielectric Continuum Model of Solvation with Emphasis on Ions: Aqueous Solutes with Oxo, Hydroxo, Amino, Methyl, Chloro, Bromo and Fluoro Functionalities." 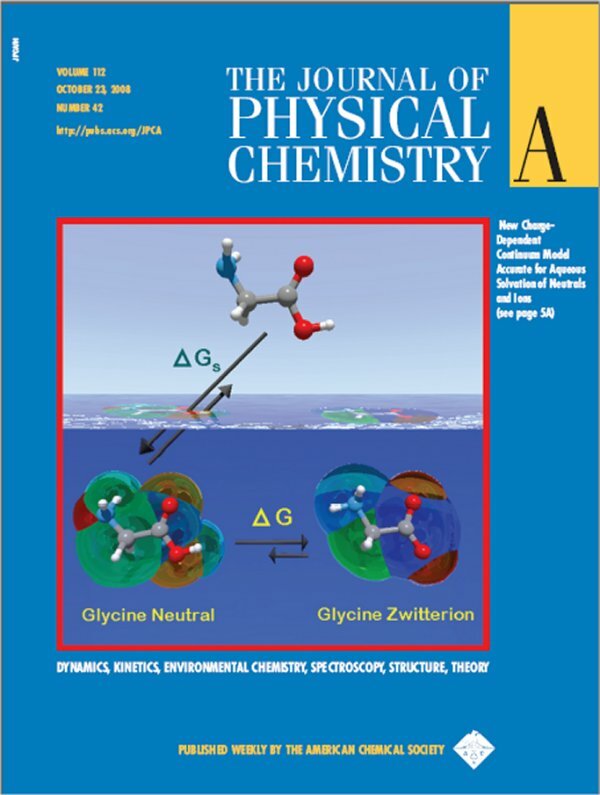 Journal of Physical Chemistry A 112(42): 10604-10613. Camaioni DM, M Dupuis and J Bentley. 2003. 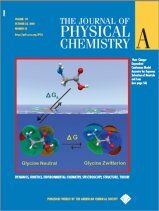 "Theoretical Characterization of Oxoanion, XOmn-, Solvation" Journal of Physical Chemistry A 107(30): 5778 -5788.